Hi. My name is Rishi Mocherla. I am a 13 year old Vibha Youth Volunteer from the Atlanta, Georgia chapter. This summer I visited my family in India for about three weeks and I think that the greatest part of my time there was going to visit the Devnar School for the Blind. The Devnar School is based in Begumpet in Secunderabad. We went there on the morning of August 4th. My mom, brother, and I were going to meet Sasi auntie and Vinay uncle outside the school. Sasi auntie and Vinay uncle were two former members of the Dallas chapter and who had moved back to Hyderabad and were now a crucial part of Vibha Hyderabad. At first, I was feeling a little apprehensive on what we were going to do. I was a little afraid that we would have to speak Telugu there because I have to admit my Telugu-speaking skills are a little bit rusty. We were welcomed very warmly by the staff. As soon as we got there, I realized my purpose. Though the place was in appeared well from the outside, I think it was still a work in progress. We were given a tour of the School and I saw how much hard work was actually put into helping these visually challenged people with an education. There was a seventh grade student reading the Braille and helping the sixth grade teacher with the corrections of a test. There were even parents of students that were helping out around the school. The technology used there to help the kids was amazing. There were Braille printers, keyboards for typing, software of every kind that aided the visually impaired kids with computers. There was this one software called JAWS that converted whatever was on the computer into audio to help the visually challenged. I thought that was a brilliant idea and would be very useful. One machine that was impressive was the Mountbatten electric Braille keyboard that had audio support and aided students in examinations. It looked like they were in need of that particular machine. We went to the library after that and I was blown away by the books that they had gotten in Braille. They even had the whole Harry Potter series. It was quite amazing. I was very proud to see the Vibha logo on the textbooks provided for the kids. 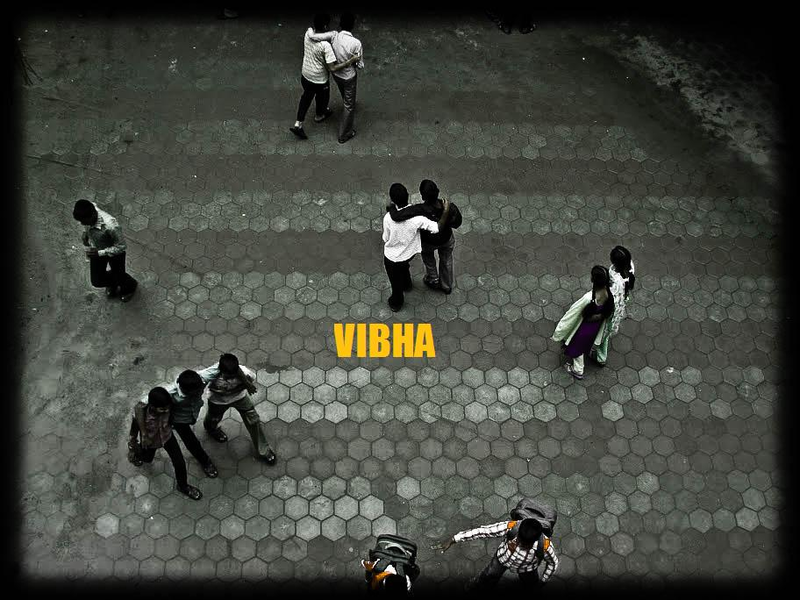 I could see that Vibha was making a big difference in their education. We also visited the Science lab. It was amazing because there models of everything from biology and a description for each model in Braille next to it. As we were going back downstairs, I looked over the balcony and I saw the students walking around in groups. That moment made me realize why I had started to volunteer in the first place. It wasn’t for something good to see on my college application or to put on my résumé. I realized that I had started volunteering to see the happiness that I was seeing on these kids’ faces. It made me feel so good inside. I’d like to thank the Devnar School for letting us visit and I also want to thank my mom and Sasi auntie for coordinating the visit. It was a great experience. Yes, it gives a lot of happiness to see differently abled children learn just like us.